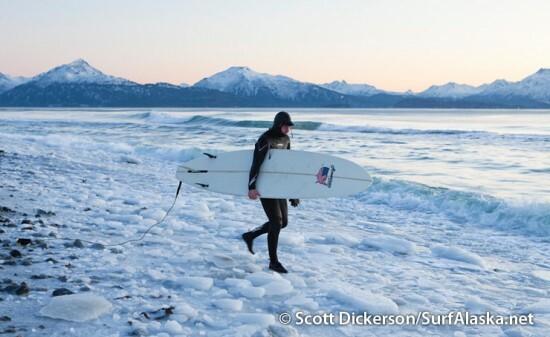 2008 ended in style for a few Alaskan surfers who spent the last moments of daylight riding glassy waist to chest high waves in slushy salt water. 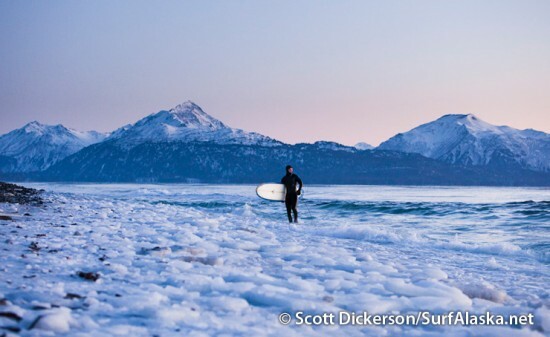 It was a true classic Alaskan surf session with a gorgeous winter sunset over the snow covered mountains, ice covering the beaches and floating by in the lineup, and just a few friends out enjoying the waves together. 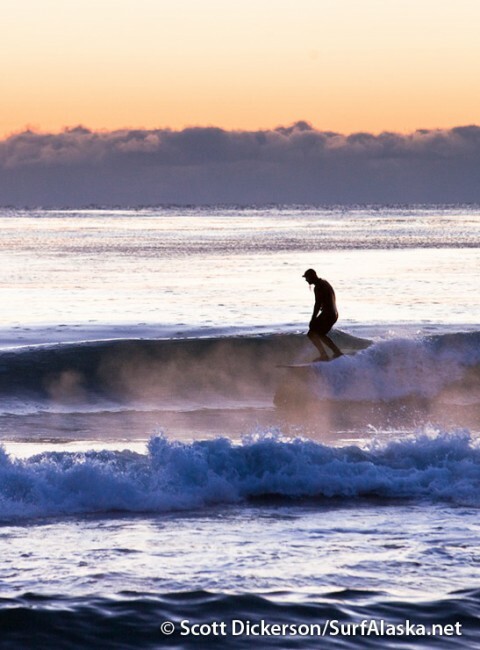 The spray from the lips of the waves was a strange chunky slushy mixture and after sunset the relatively warm water started to steam as the air temperature plummeted. Enjoy the photos. 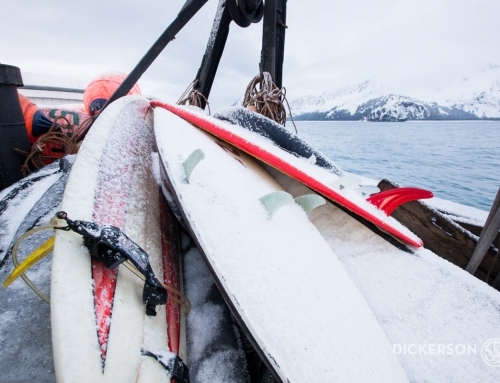 Alaskan surfers Jake Beaudoin and Kyle Kornelis sit amongst ice waiting for a set to roll in. 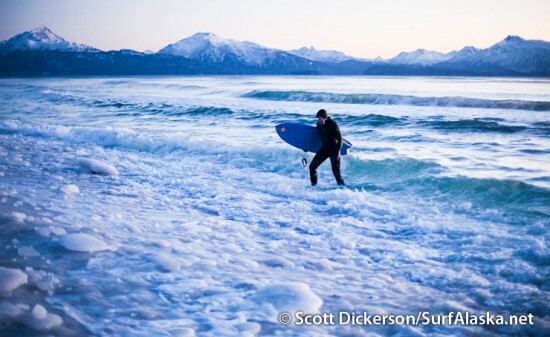 Jake Beaudoin surfing the face of a steaming cold wave in Alaska. Paul Bacher trying to bring some life back into his cold hands. The 3mm gloves just didn't cut it. 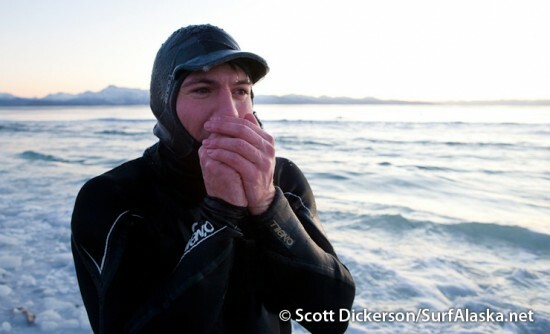 Jake Beaudoin reaching for the nose at twilight surfing in Alaska. 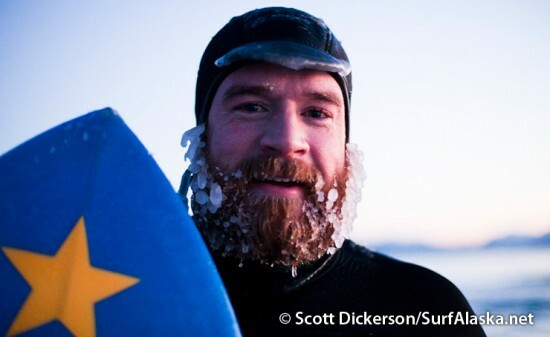 Alaskan surfer, Jake Beaudoin's ice covered back. Alaskan surer Kyle Kornelis looking the part. 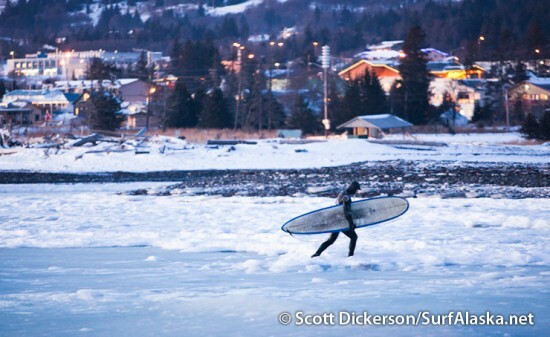 Surfer Jake Beaudoin walking out of the slushy water onto a frozen beach in Homer, Alaska. 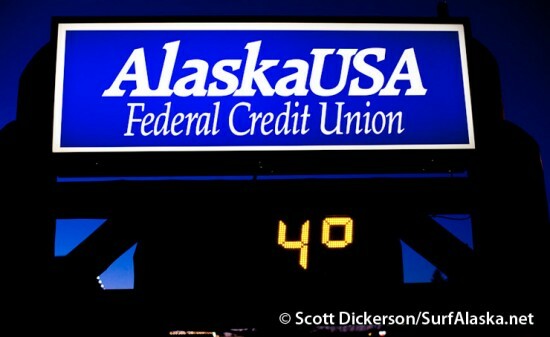 The air temperature reading 4ºF on my way home. 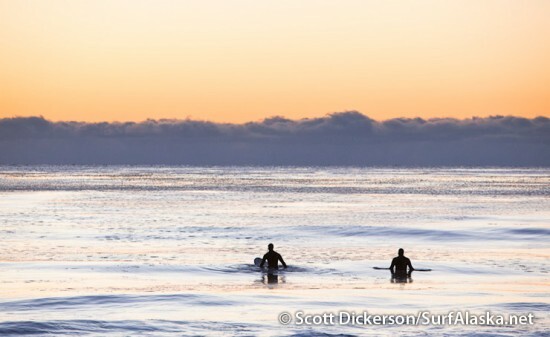 Some spectacular shots, your stuff just gets better and better! 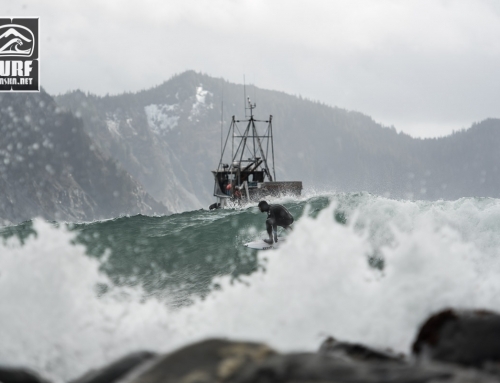 Stoked to see AK gets waves like this! 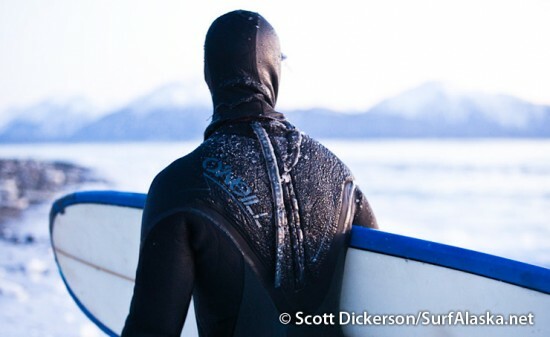 I’m coming back to haines for April, and with a a few heads that love to surf as much as I do. 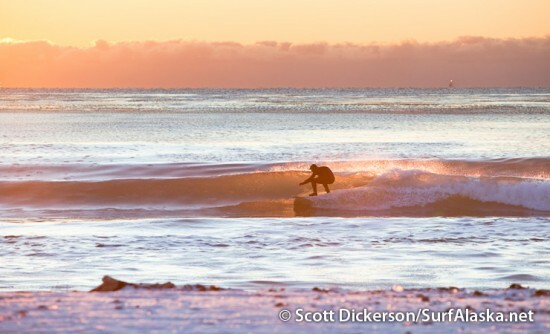 Can I hit you up for some info then on where to surf around there on our down days? 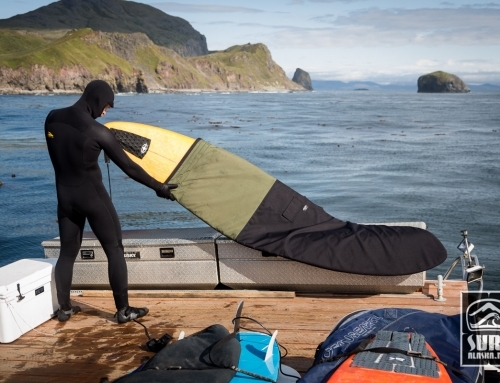 I don’t know about surfing around Haines. 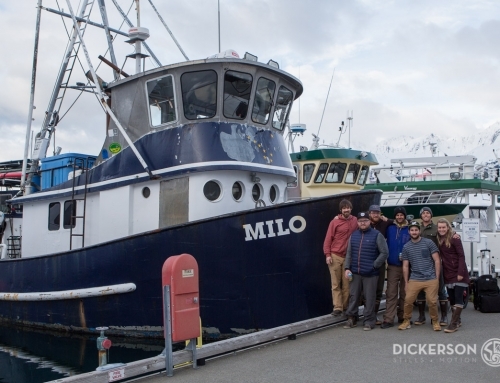 I’m up on the Kenai Peninsula in Homer, 220 miles south of Anchorage by road. 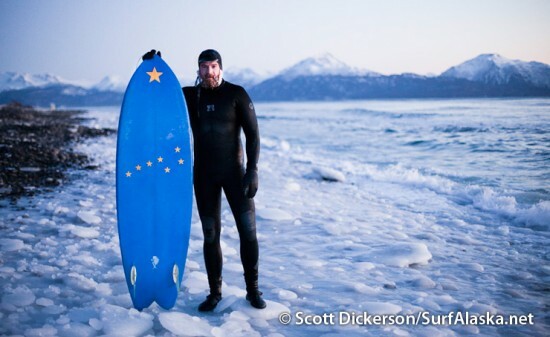 I know of a few guys who do snowboarding/skiing work in Haines and also surf they could probably help you out. 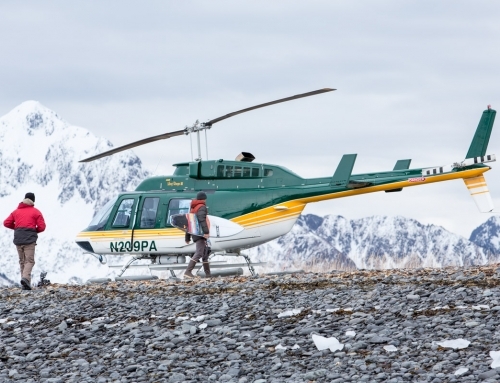 You might well know them already if you’ve spent some time in Haines in the winter before. I’ll connect with you on facebook.